Once gain, BARGE enjoyed the hospitality of our good friends at Binion's. And, again, the banquet was held at the Golden Nugget where Tom Schneider spoke. While the team CHORSE event took place at the Nugget, the other tournament events took place at Binion's. The NL hold'em tournament was won by Dan Chevrie. Mark "Dagon" Rafn came in second, and Steve "Lunchbox" Forcash finished third. The Tuesday event was the sadistic no-limit hold'em shootout transitioning to limit HORSE. This event was won by Guy "Grizz" Berentsen. In second was Chris "Jepstonian" Jepson. Bob Ogus finished in third place. Matt "Grapes" Grapenthein won the blackjack event and Chic Natkins won the video poker tournament. In the Zimmers Memorial Lowball event, Richard "Quiet Lion" Brodie took first place. He was followed by Chris "Tom Bayes" Mecklin in second and Ken "ADB QB" Kubey in third. Steve "BIA" Nissman won the stud shootout followed by Stephen "Marlin" Cohen and Greg Pappas. 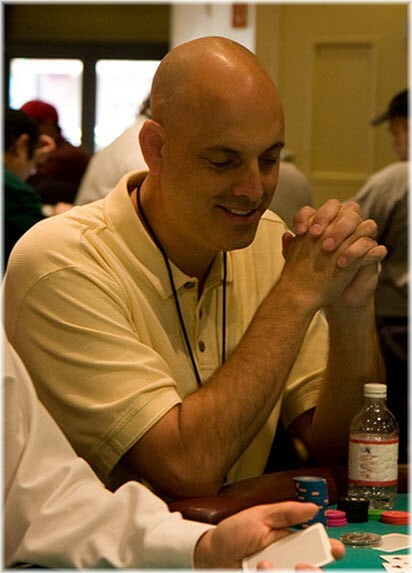 Barry Tanenbaum emerged victorious in the ToC-style event. Marc "The Occupant" Gilutin came in second and Chuck Weinstock was third. This was Chuck Weinstock's last BARGE as organizer, although he continues as honored organizer emeritus. This was also Nick Christenson's first BARGE as an organizer. me any pictures taken at BARGE 2008 that you would like displayed here.